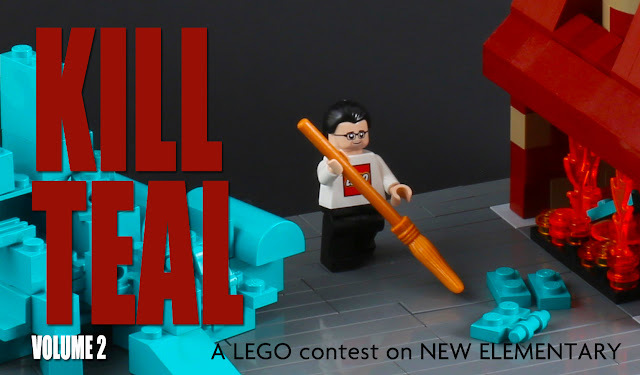 Every now and then while I am looking through LEGO related websites, I come across contests or giveaways. I thought it would be great if we all knew about them. I'm sure some of you have found a few in your cyber travels as well. Please feel free to share them with us and who knows, maybe one of us(besides Michael) might win something! @scotth510 What a great idea! I recommend any Rebrick contest. Rebrick currently has one contest on. It's a bit complex because you have to create an original model that is a rebuild of any Creator Expert Modular, Fairgrounds and Holiday set, and then create a stop-motion animation of it being built. I second Michael's suggestion to watch the ReBrick contests to see which one you might want to enter. They recently held a holiday train contest and these are the winners. Look at those sweet shades. A new contest was just posted by New Elementary, How might Mark Stafford kill teal again?. Brickset has a contest on right now: Star Wars microscale building competition. Pretty awesome contest, as it's basically just anything microscale star wars. Which I know is an interest for at least a couple of you. The prize is one of 4 Escape the Space Slug sets. Thanks for posting that Michael. Might take a swing at this after we finish the display. LEGO City crooks are fleeing to the mountains, and we invite you to capture the great chase between them and the LEGO City mountain police! Show off your photography and building skills in a classic tale between cops and robbers. "We invite you to show us your LEGO moment in space! Use your imagination to create the ultimate space model – make it as sci-fi or realistic as you wish, just stay within a base of 16 x 16 studs. One lucky winner has the chance to have their entry transformed into a new Gift with Purchase set, and will win a collection of past exclusive Gift with Purchase sets!"